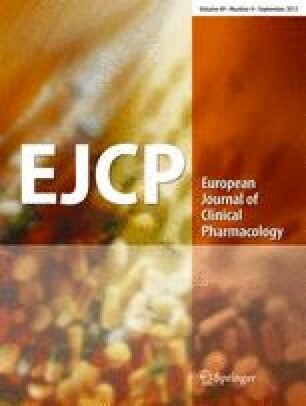 Placental transfer of pinazepam and its metabolite N-desmethyldiazepam was investigated in 25 pregnant women at term. Pinazepam was administered orally as a single (10 mg) dose to 13 women, or in multiple doses of 5 mg daily to 12 women. The dose-delivery interval ranged between 1 and 26 h for the single dose, and the period between the last of the multiple doses and delivery was 1.4 to 24 h. Pinazepam and N-desmethyldiazepam were measured in plasma obtained from the umbilical vein and from the mother, at delivery. Pinazepam was only detectable in plasma after the 10 mg dose. The drug did not reach an apparent equilibrium between fetal and maternal plasma. The average (±SEM) cord/maternal ratio of plasma pinazepam concentrations was 0.64±0.07. N-desmethyldiazepam was detectable on each occasion. Its concentration in the plasma from the cord vein became higher than that in the maternal specimens 1–2 h after administration of the parent drug. Little N-desmethyldiazepam was excreted in breast milk.